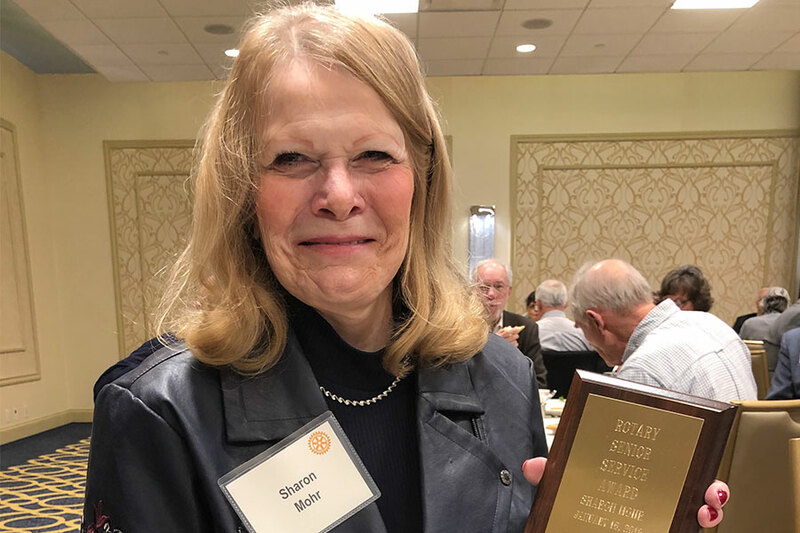 MADISON, Wis. — January 17, 2019 — The Rotary Club of Madison yesterday presented its Senior Service Award to Sharon Mohr, a full-time volunteer at The River Food Pantry, during the club’s meeting at Park Hotel. Mohr has volunteered about 40 hours a week for the past five years at The River Food Pantry. Focused on managing The River’s free clothing and household goods, Mohr sorts and displays thousands of pounds of donated items each year. To date, she has given more than 10,000 hours of volunteer service. Mohr took it upon herself to go to The River five days a week to organize the mixed donations of clothing for men, women and children, as well as bedding, towels, shoes, glassware and other miscellaneous items. Now, all the clothing is hanging neatly on hangers, grouped according to size and gender. Everything else, including seasonal items, is labeled and has a designated place. Mohr’s efforts have significantly improved the shopping experience for over 1,000 households who visit The River every week. Thanks to Mohr’s orderly system, clients can find what they need quicker and easier. In fact, the organized clothing area has become a favorite service for many clients, who have expressed that nothing was organized before and now they don’t know what they would do without it. 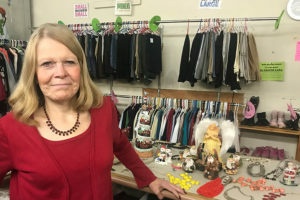 In addition to helping those who depend on The River, Mohr has also formed alliances with other Madison-area nonprofits to share excess clothing or to submit it into recycling programs. “Thank you, Sharon Mohr, for exemplifying service above self, and congratulations on receiving the Senior Service Award from the Rotary Club of Madison,” concluded the Rotary Club of Madison’s Jerry Thain, who introduced Mohr to the club.